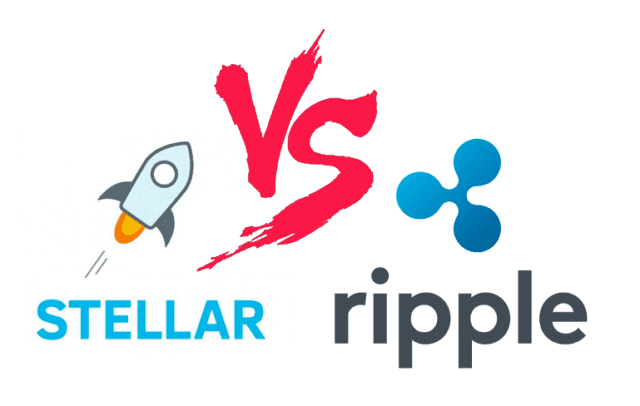 Home eCommerce XRP vs XLM – Who Will Win the Battle? XRP vs XLM – Who Will Win the Battle? The world of cryptocurrencies has evolved over time and the argument is no longer whether crypto coins are here to stay or not. Instead, the question has tilted more towards which coin will retain global dominance or which coin will overtake it, who will gain or who will lose. On the global market of digital coins, it is not uncommon to pitch giants against each other and examine them side by side to see which one passes the test as a more viable investment option and, in the long run, which of the two will survive as a market leader and overall winner of the pair. In the world of cross-border payments, two giants take center stage – Ripple’s XRP and Stellar’s XLM. Both of them have been subject of debate for very good reasons. Many even consider one as the fork of the other, but other than sharing the same founder in the person of Jed McCaleb and certain similarities in the initial line of code, the two coins are absolutely different and stand as separate assets. Presently, with a market cap of slightly over $4 billion and the XLM to USD price of $0.23, Stellar Lumen loses to XRP both in terms of acceptance and value. But understanding the major divergence in the philosophy that underlies both coins, it is easy to spot the wide difference between the two. Ripple’s team are more about profit and market reach, while Stellar’s executives are operating under a philanthropic philosophy. The centralized Ripple is focusing fully on being a cross-border payment mechanism for big banks and financial institutions – a position it backs up heavily with more media coverage and partnerships, which has no doubt strengthened its reach and market capitalization. Stellar, on the other hand, has taken a stance of being the Robin Hood of cryptocurrencies, with the goal of taking cross-border payments to the unbanked regions of the world. And this major difference is reflected in the market capitalization of both coins, which currently stands at $18 billion for XRP and $4 billion for XLM respectively. Here XRP comes as the obvious leader. This, however, doesn’t in any way put one directly behind the other in terms of the probability of being successful. In fact, the difference in underlying philosophy places both coins in slightly different niches, even though they still essentially target the market for micro-transactions and cross-border payments. Both coins have a massive potential of being successful. Though they may trail far behind market giants like Bitcoin and Ether in terms of the market price per token, with both coins trading well below one dollar (XRP-$0.46 and XLM-$0.23), XRP and XLM appear to be affordable investments. Despite being low-priced, both coins are still very much in the game and offer attractive opportunities for investors who want to jump on the cryptocurrency bandwagon. With over 1600 cryptocurrencies in the market, XRP and XLM are among the world’s top 10 players and are ranked 3rd and 7th by market cap, respectively. Although both coins are relatively cheap, a lower price of Lumens means you can buy and hold more XLM than XRP if you are investing the same amount. But, XRP’s current market dominance over Lumens will no doubt favor it among investors who want to put their trust in a more established coin. XLM is decentralized, while XRP isn’t. While you might want to quickly call this another advantage of Stellar Lumen, a cursory look from another angle may offer a more critical assessment. Many coins in the crypto-world pride themselves on being decentralized. It is indirectly a frontal assault on banks and other financial institutions, with Bitcoin leading the attack. For these banks, having a digital coin, which is still centralized, is a twist they will definitely want to work to their advantage. So you would understand if Ripple gets more by way of support from the banks and financial institutions in developed countries for this singular reason. On the other hand, the unbanked areas of the world, which Stellar is targeting, are ‘an unmined territory’ of some sort, which is a massive market on its own once Stellar is able to reach it and open it up. So far, Ripple has been able to achieve many instrumental partnerships with banking establishments. More than 75% of the banking institutions that have shown interest in cryptocurrencies have gravitated towards the Ripple platform and forged partnership with it. All the same, Stellar has also had its way with major partnerships. The recent addition of IBM, Deloitte and Stripe to its steadily growing list of partners looks like a swell future for the coin if things stay the same way. Although Ripple still leads in terms of market reach and general appeal to investors and continues to do more to solidify its position, Stellar is also trying to catch up. Stellar takes a more laid-back and subtle approach to delivering value to individuals rather than to institutional use, which perfectly excuses its slow pace of growth. From all the points examined, Ripple’s XRP does have the lead in terms of value per token as well as market capitalization, but this doesn’t in any way present it as a more viable investment opportunity than Stellar’s XLM. This depends on an interplay of factors which can push the price upward or downward for either coin at any time. It is clear that both coins target relatively different markets with XRP going after the financial institutions, especially in developed countries, and XLM being more individual based with more focus on developing countries. Thus, there is virtually no reason to contrast both coins against each other as it very much looks like both XRP and XLM are likely to succeed each in their chosen niche. Yet, the future may see either of them dabbling in each other’s path, and maybe then we will begin to see a fiercer competition between the two.